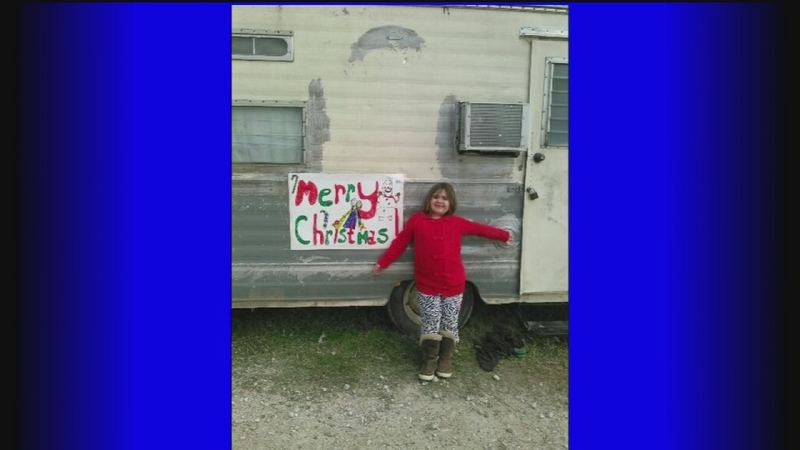 PINEHURST, TX (KTRK) -- A Montgomery County family's stolen RV is headed back to its owners, authorities say. However, whether a little girl's prized Christmas presents are still inside is unknown. Eyewitness News first reported on the stolen RV last week. Mary Whitt told us that her six-year-old granddaughter's Christmas presents, including a copy of "Frozen" and "Monster High," were inside the vehicle along with many other possessions when it was taken while Whitt was in the hospital. The girl's Christmas presents were donated by a local charity. Whitt was living in the RV temporarily. It was parked near her workplace, a pop-up fireworks store, on Hwy 249 near a Shell station. Whitt says she got sick with pneumonia and was in the hospital. When she returned, her RV was gone. But now, the RV is headed back to Whitt after riders on horseback found the RV in a wooded area in Magnolia, a Montgomery County Sheriff's Office official says. Spokesperson Lt. Brady Fitzgerald tells Eyewitness News no arrests have been made at this time, but detectives are following up on some information they have already received. Montgomery County is transporting the RV back to the family, so it won't cost them anything to get it back. Fitzgerald says the owners will have to do an inventory on the RV to see whether anything was taken.